Airbus is planning to submit a proposal to fulfill the U.S. Navy’s Advanced Helicopter Training System (AHTS) with a platform based on its H135 twin. “The Navy has released a pre-solicitation notice, targeting an RFP (request for proposal) release on Jan. 22,” said Scott Tumpak, vice president, military programs at Airbus Helicopters, during a media visit to the company’s facilities in Columbus, Mississippi. Already in use for military training by armed forces in countries including the United Kingdom, Germany, Jordan and Japan, the proposed U.S. Navy-spec H135 will include a Helionix automatic flight control system (AFCS), FADEC-controlled Pratt & Whitney or Turbomeca twin turbines, and new high-lift main rotor blades. The U.S. military is already one of the largest operators of Airbus aircraft anywhere on the planet. The company has delivered over 600 machines to the U.S. Army, U.S. Coast Guard, and U.S. Customs and Border Protection. 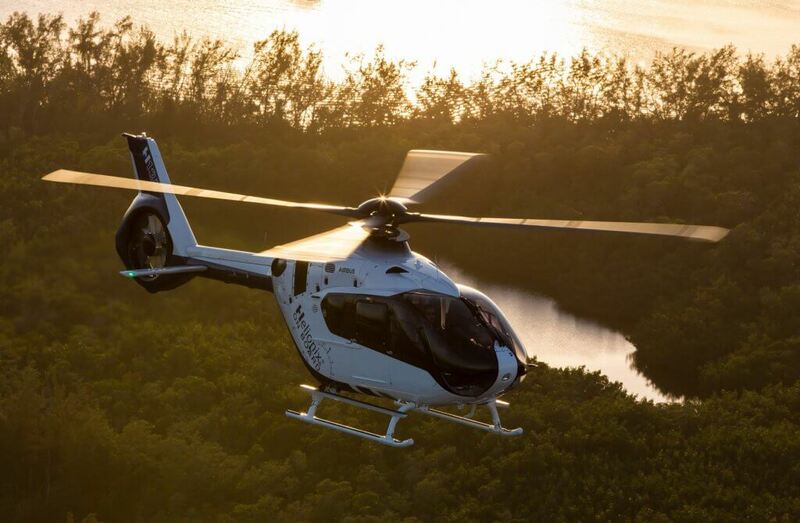 Airbus plans to leverage its experience with the UH-72A Lakota for the AHTS program. Since 2006, it has delivered over 435 Lakotas, which are based on the EC145 civilian helicopter, to the U.S. Army. The twin-engine Lakota initially served as a liaison, utility, VIP and medevac machine for the Army, before taking on the primary rotary-wing training mission at Fort Rucker, Alabama. If Airbus is awarded the AHTS program, 130 EC135s for the Navy will be built on the Columbus final assembly line, alongside the Lakota. The Mississippi facility also assembles H125s and handles the completions and deliveries for the full range of Airbus machines for North American customers. Components for the UH-72As and H125s arrive from other Airbus Helicopters plants and suppliers and are assembled on two, multi-station lines, while machines destined for completion arrive mostly fabricated. Painting, pre-flight, and flight testing is also done at the factory. Located at Columbus’ Golden Triangle Regional Airport, Airbus Helicopters has a team of over 200, of which nearly 40 percent are U.S. veterans. All the wiring harnesses and circuit breaker panels for the Lakota and many of the harnesses for the H125 are manufactured in Columbus, and the facility is also an FAA Part 145 repair station, according to Mike Spears, vice president of industry for Airbus Helicopters. Over 1,300 aircraft have been delivered since the facility opened in 2003, and Tumpak is confident that Airbus Helicopter’s past performance will be a positive factor for the U.S. Navy.